CryptoChamp – a unique challenge that not only lets you trade, it even pays you to trade is now complete. Missed participating? Join the waitlist for the next edition. "I was interested in taking part in Zebpay's Cryptochamp competition and I was pleased with the result. The support of the Zebpay team at a good level; all issues are resolved quickly enough. The trading platform has left a positive impression, it is convenient and intuitive, the platform interface is not overloaded with unnecessary functions. I think the biggest advantage is the ability to trade with zero commission, it allows you to make a lot of transactions, not caring how the size of the commission will affect the earnings earned. I remain a client of Zebpay and continue to trade on the platform of Zebpay because it is convenient and profitable." "The Zebpay Cryptochamp competition was interesting and I expanded my experience in cryptocurrency trading. I liked trading on the Zebpay platform. Trading without commission is a very good service and should attract more users to the platform." "It was very interesting for me to participate in the Zebpay Cryptochamp championship. I do not have much experience in trading, but here I got a good experience. The main goal was to try my hand and make the necessary volume of transactions in a month. I thank the organizers for the opportunity to participate in the championship and wish the Zebpay Exchange to take a leading position among the world crypto exchanges." "I actively started using Zebpay when I came across the Cryptochamp competition. The platform was simple and intuitive to use; it offered good liquidity too. Having zero trading fees and winning great rewards for trading regularly added to that experience. They're soon going to have a second edition of the competition. I am definitely going to continue using Zebpay for bitcoin trading." 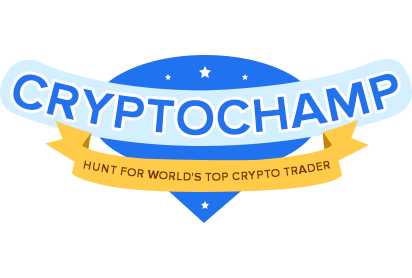 Zebpay CryptoChamp is a competition to find and recognize world's top Crypto trader. 50 selected participants will get €1000 each (risk free) to trade for 30 days. At the end of the competition period, top 10 crypto traders get to keep their entire balance. All other participants who fulfill the competition rules receive €100 each. So the risk is all ours and the gain is all yours. Is this competition trading in real money or is it a simulation? Participants will be given real money to trade and they shall be generating real money profits during the competition. It is not a simulation! Will I need to pay trading fees for the trades made during the competition? NO. Zero trading fees will be applicable for the participants of the competition. Can I add more of my own money or withdraw money during the competition? You cannot withdraw/deposit Euro or Crypto into your wallet during the course of the competition. However after the competition ends, you would be able to use your account as a regular trading account on Zebpay. There is no participation fee. It is your expertise and our money. Zebpay is a trusted crypto exchange with a secure wallet. 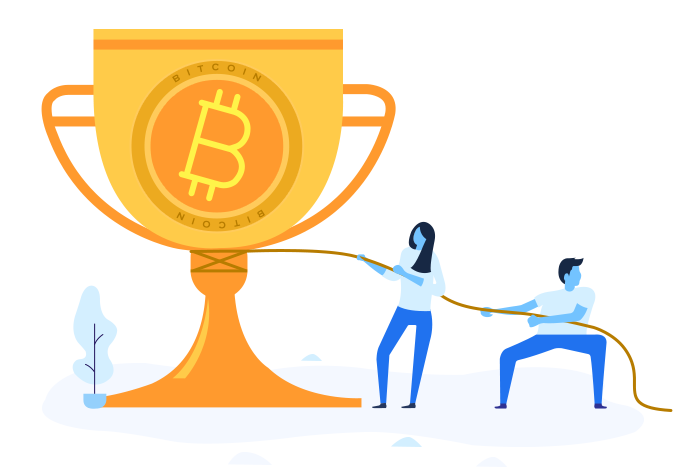 Our app is the fastest and easiest way to buy Bitcoin, Ether and other cryptos. More than 3 million people have trusted Zebpay for its security and ease of crypto trading.